+ More requiring Conical 9/16-18 Lug Nuts. - Cone (Conical) Seat: Cone seat lug nuts are always typically required if you are using aftermarket wheels. 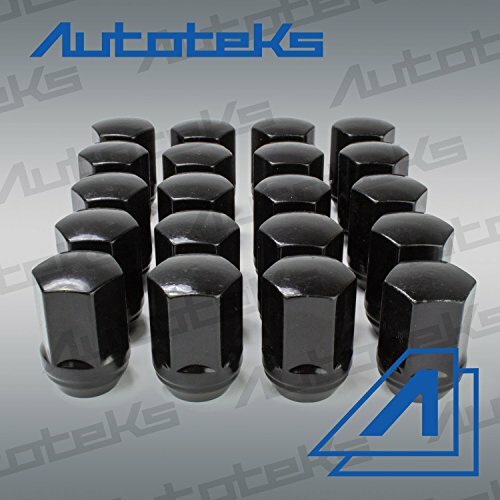 Most vehicles require cone seat lug nuts with Replica & Aftermarket wheels. - Verify Thread Pitch Needed: Please take the necessary measurements to ensure you are purchasing the correct thread pitch lug nut set for your application. If you have any questions about this product by Autoteks, contact us by completing and submitting the form below. If you are looking for a specif part number, please include it with your message.